I get a chance to do a fair bit of promotional material, for non-profit organization and for-profit businesses. I put together the following material in the last couple days and enjoyed it, but made some serious notes about what I'd do different if I was under a different time and finance scenario: 1) I would have sketched out the words for all the sets of words (probably would have made 4-6 different sketches for each set of words). This would have been worth it, but so time consuming. I started doing it and realized how long it would take. 2) I would have re-shot the pictures. I wasn't happy with the overall look and feel of the pictures and so you rarely see how they pictures actually looked. 3) I would have eaten the pineapple while editing. There was a pineapple I had but it was too big for the shoot, so I put it in the fridge. What was I thinking? 4) The music is awesome thanks to Dean, but if I had more time I would have gotten him to stretch it out another 10 seconds and add more bass at the beginning. 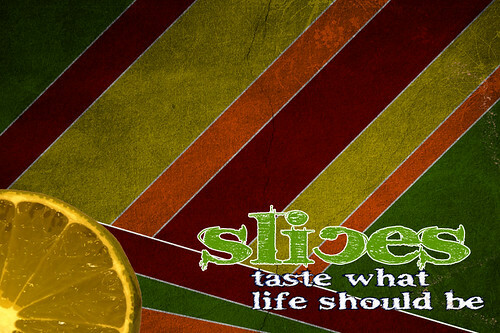 Slices Promo Teaser from Matthew Hawkins on Vimeo.